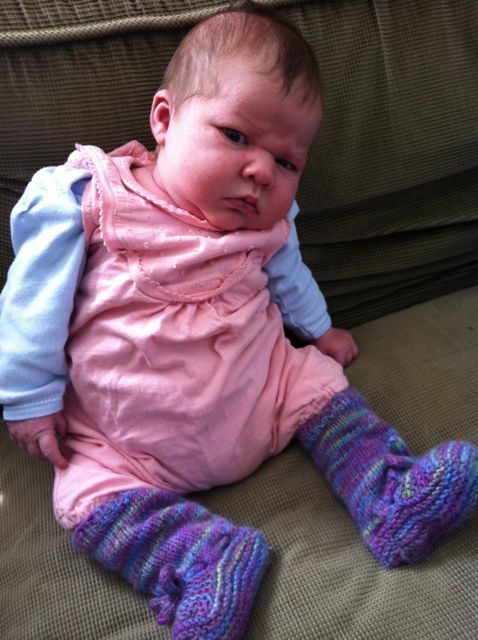 My new baby bub has been born, and of course she's wearing heaps of handmade already. 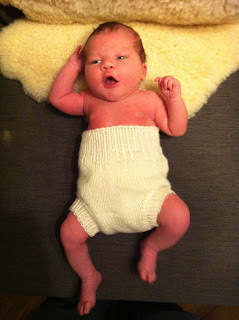 Since we're using cloth nappies (diapers) with her, I've knit her up some soakers using the free curly purly pattern. She seems to enjoy this one, made of Treliske Organic Merino. 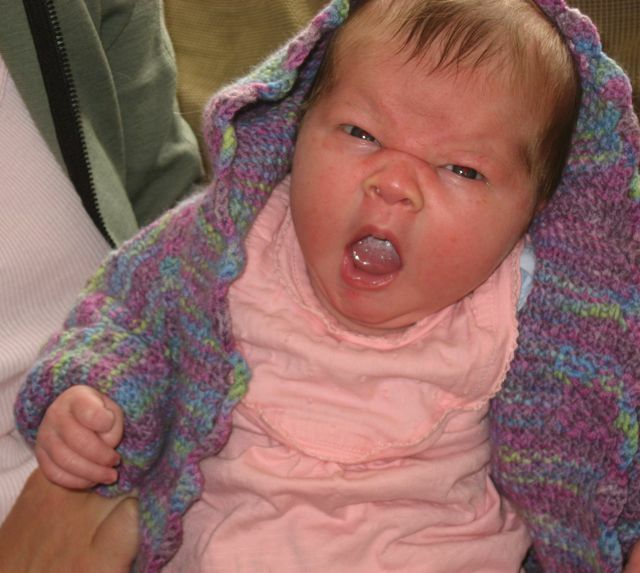 You may remember I posted these handknits I made for her while I was expecting. Well, now here she is modeling the booties... She looks a bit grumpy, but I'm sure she likes them. And here's the hoodie, which I guess she hates. Maybe the problem is that I made it for her. Here she is happy in a handmade t-shirt that my sister-in-law knit. 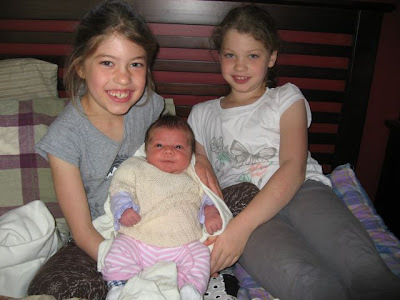 Also happy are her big sisters.